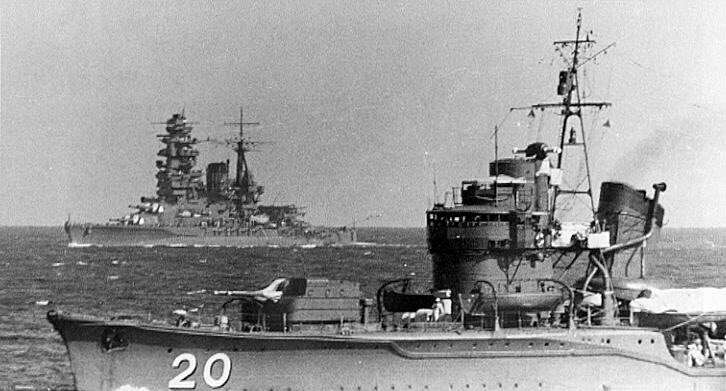 As I mentioned the past few days I am taking a little bit of a break from current events and I am going back to my archives to re-publish older articles about great classes of warships. I am a Navy officer as well as a Navy brat. I grew up with an appreciation for all things navy and various classes of warships that made history. 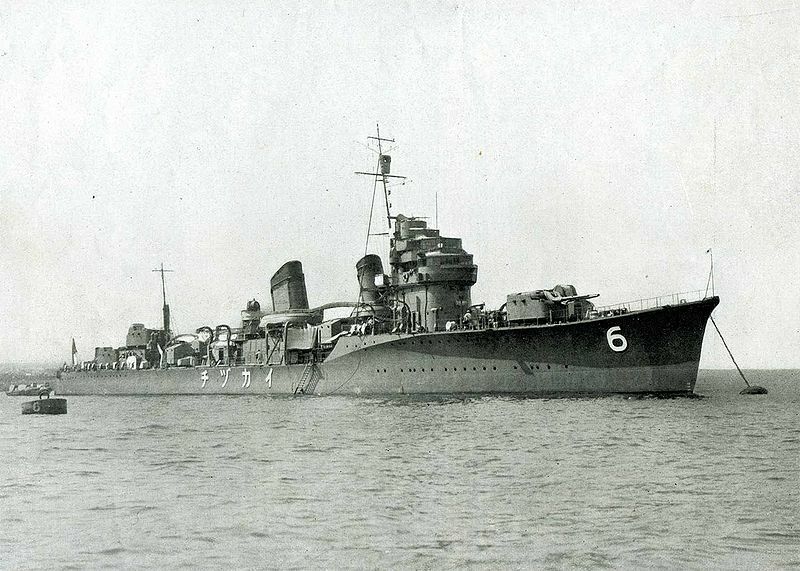 Today, a post about a class of Japanese destroyers that set a standard for the world and can truly described as the first modern destroyers, the Fubuki Class. I hope that you enjoy. 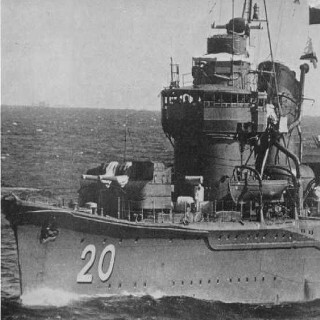 The Imperial Japanese Navy set the standard for destroyer construction in the 1920. While the United States Navy and British Royal Navy were fully stocked with their First World War design destroyers the Imperial Navy’s General Staff issued a requirement for a class of large destroyers which would complement the new classes of modern cruisers being built for the navy. The requirement called for a 2000 ton ship capable of 39 knots with a 4000 mile range at 14 knots that could carry a large number of torpedoes and a heavy gun armament. The program was designed to give the numerically inferior Imperial Navy a qualitative superiority against any opponent. The 24 ship Fubuki Class was such a quantum leap over other contemporary destroyers that the Imperial Navy referred to them as the Special Type. Their large size, heavy armament and high speed made them equal to many of the light cruisers of the time. The design was modified to carry more guns and torpedoes on an increased displacement and the result was a 388 foot long 1750 ton ship armed with six 5” 50 caliber guns in weather proof and splinter proof mounts. On the initial 10 ships of the class the guns could only be elevated 40 degrees which made them less than effective as anti-aircraft guns but in the succeeding two groups of ships the mounts were an improved type which allowed them to elevate each gun separately to 75 degrees. The ammunition magazines were below the gun mounts and ammunition was passed to the guns by hoists. This gave them a decided edge in rate of fire over other destroyers which had open or partially shield mounts dependant on ammunition passers carrying ammunition to them. The light anti-aircraft armament when built was two Type 93 13mm machine guns. In the years before the war and during the war this was increased in some cases up to twenty-two 25mm anti-aircraft guns and 10 of the Type 93 machine guns. In 1944 surviving ships of the class had their X- 5” gun mount removed to facilitate more of the 25mm guns, radar and additional depth charge capacity. The nine 24” torpedo tubes in triple mounts were able to be reloaded while in battle a capability not shared by other destroyers. They carried a total of 18 torpedoes which initially were the Type 8 but these were replaced by the oxygen powered Type 93 “Long Lance” torpedoes before the war. These torpedoes had a higher speed, longer range and heavier warhead than torpedoes produced by other navies. These torpedoes would become the scourge of Allied navies during the war in the brutal surface engagements of 1942. Due to the modifications made to the design which put more armament on a smaller displacement than the original design made them unstable in heavy seas and resulted in longitudinal hull weakness that resulted in the class being rebuilt between 1935 and 1937. The rebuild increased their displacement to 2050 tons standard and over 2400 tons full load and resulted in a slight reduction of their speed. The class was built in three groups and each is sometimes referred to as a separate class as each incorporated improvements over the preceding group. 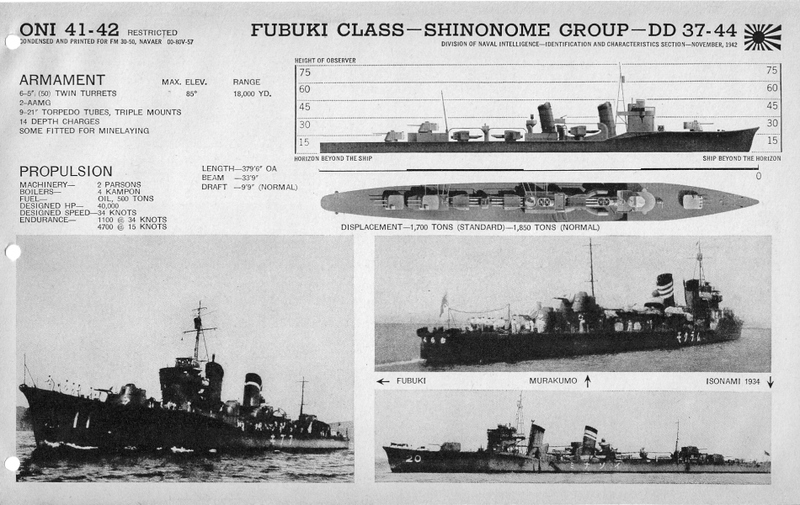 The first 10 ships of the class which are sometimes referred to as the Fubuki Class were of less complex design than subsequent ships. They were feet long had a smaller bridge and exposed gunfire control room. The second group of 10 ships commonly referred to as the Ayanami Class had an enlarged bridge structure which enclosed previous exposed positions to include the gunfire control room, range finders and included a range finder tower. They also were the first ships to receive the improved Type B gun mounts. 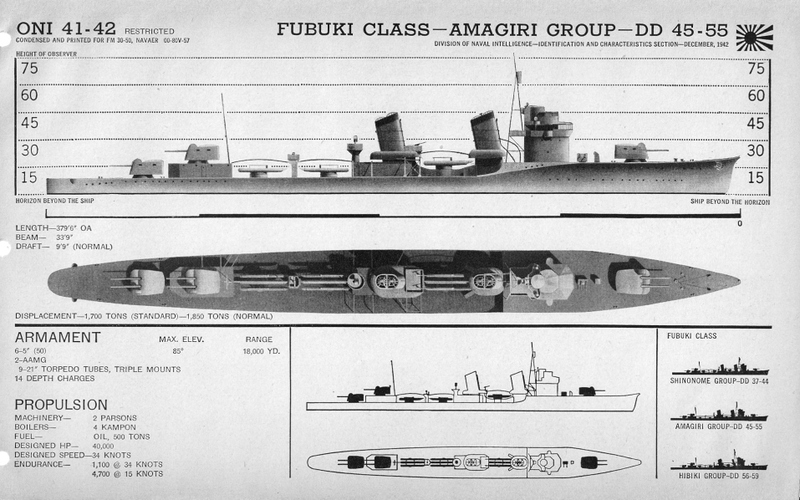 The final subtype of the class, the Akatsuki Class comprised just 4 ships and was distinguished by a smaller forward funnel, larger boilers and unique splinter proof torpedo tube mount housing. The ships of the class participated in every major campaign of Japan’s war in the Pacific as well as operations against China in the 1930s. 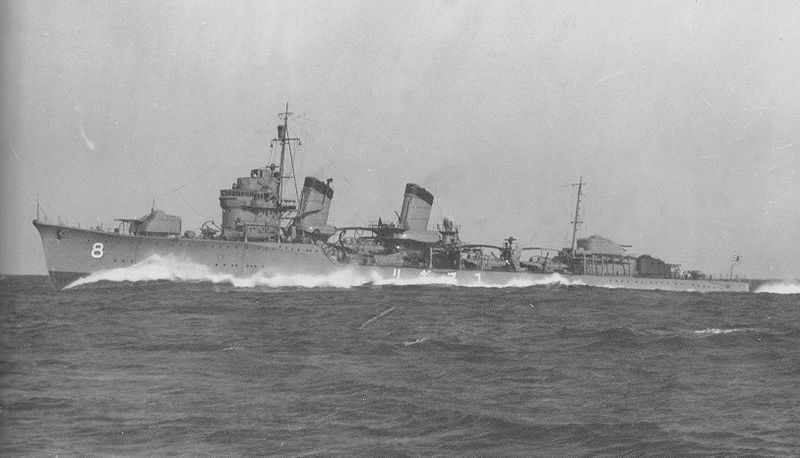 One ship the Miyuki was lost in a collision with another destroyer in August 1934. All remaining ships of the class except the Hibiki and Ushio were lost in action during the war. Four the Fubuki, Ayanami, Yuguri and Ataksuki were sunk in surface actions. Eight ships the Usogumo, Shirakumo, Isonami, Shikinami, Sagiri, Sazanami, Inazuma, and Ikazuchi were lost to Allied submarines. Seven ships, the Shirayuki, Hatsuyuki, Murakumo, Uranami, Asagiri, Oboro and Akebono were sunk by aircraft, while the Shinonome and Amagiri fell victim to mines. Hibiki was given to the Soviet Union following the war and served in that Navy until either 1953 or 1963 depending on the source. She was scrapped. Ushio surrendered to the Allies was demilitarized and scrapped in 1948. The Amagiri played a role in the life of future President John F Kennedy when she rammed and sank his PT-109 in the Blackett Strait on August 2nd 1943. Her commanding officer at the time Lieutenant Commander Kohei Hanami attended Kennedy’s inauguration in 1961. 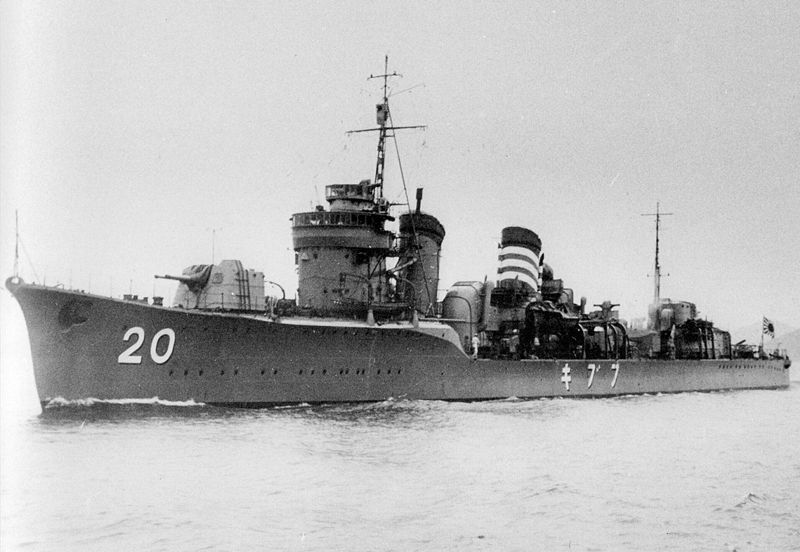 The Fubuki Class destroyers set a standard in destroyer construction that other navies around the world sought to emulate. Fast and powerful they and their brave crews fought gallantly in the Second World War and though they fought in a losing cause, they deserve to be remembered as do all those who go down to the sea in ships. The ships of the class participated in every major campaign of Japan’s war in the Pacific as well as operations against China in the 1930s. 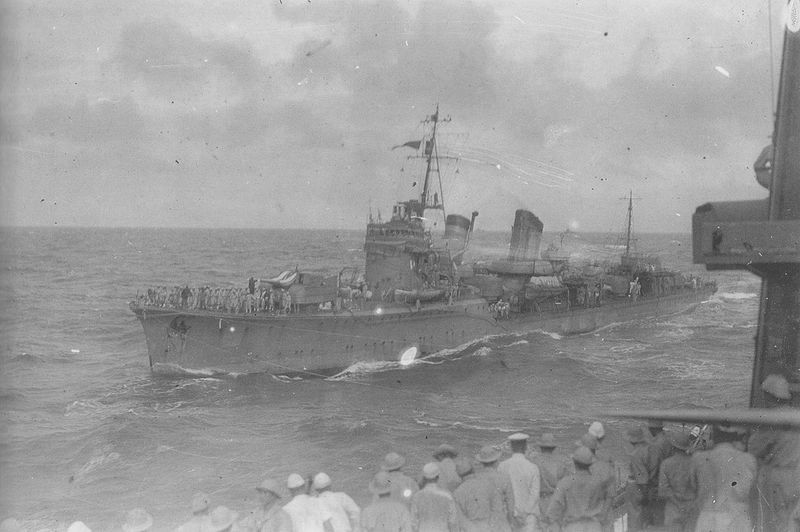 One ship the Miyuki was lost in a collision with another destroyer in August 1934. All remaining ships of the class except the Hibiki and Ushio were lost in action during the war. Four the Fubuki, Ayanami, Yuguri and Ataksuki were sunk in surface actions. Eight ships the Usogumo, Shirakumo, Isonami, Shikinami, Sagiri, Sazanami, Inazuma, and Ikazuchi were lost to Allied submarines. Seven ships the Shirayuki, Hatsuyuki, Murakumo, Uranami, Asagiri, Oboro and Akebono were sunk by aircraft and two the Shinonome and Amagiri fell victim to mines. The Fubuki Class destroyers set a standard in destroyer construction that other navies around the world sought to emulate. Fast and powerful they and their crews fought gallantly in the Second World War and though in a losing cause deserve to be remembered.